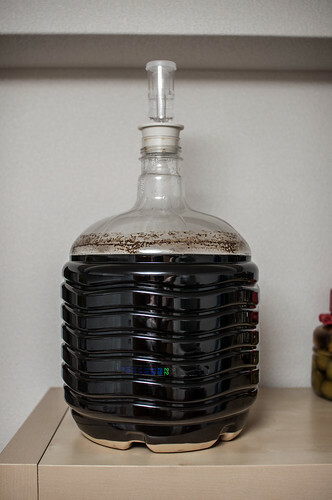 A good craft beer, at one of Tokyo's now many craft-beer pubs, will set you back about $15. This is the norm. 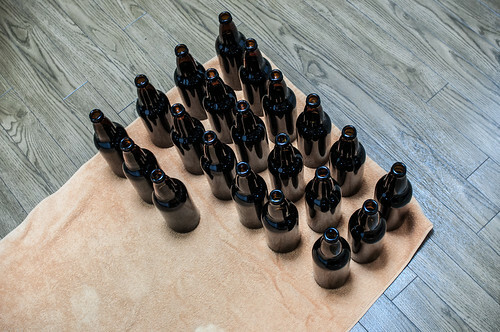 A bottle of imported craft beer is something like $6 or $7 at a store. This is also the norm. It is kind of ridiculous. I can't be sure, but good beer is a little more accessible everywhere else in the world, no? So I decided to start making my own. 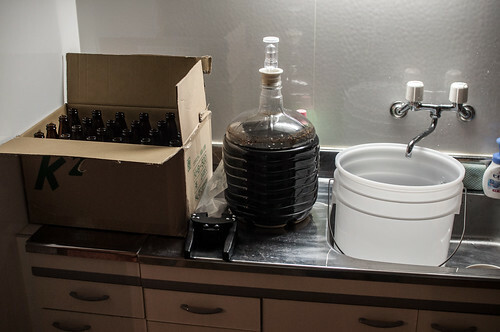 There is a rad home-brew supplier right here in Tokyo. advanced-brewing.com/ has it all. Kits, ingredients, and free shipping if you spend the equivalent of one night out at The Tap Room or Popeyes or Goodbeer Faucets. Boom, science experiment up in the lab (aka the kitchen). I had hella questions with this first batch, and when I called the number, it was just some rad old dude who guided me through it all. Hells yes. Big thanks to the fine folks at Got Faded Japan who introduced this on their podcast. 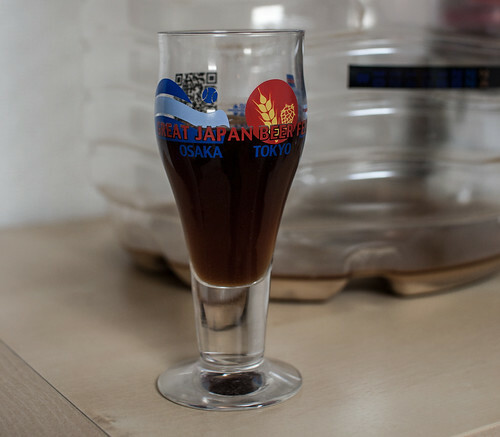 So how is my first brew? Respectable. There is a slight tingly taste going on, not sure how to describe it. It's a Nut Brown Ale, and I dig the dark color. Kanpai! How long did it take from start to in your drinking glass? I like your kit, looks nice and compact. I have wanted to brew my own but the 'do-it-yourself' kits here are not conducive to a small apartment.